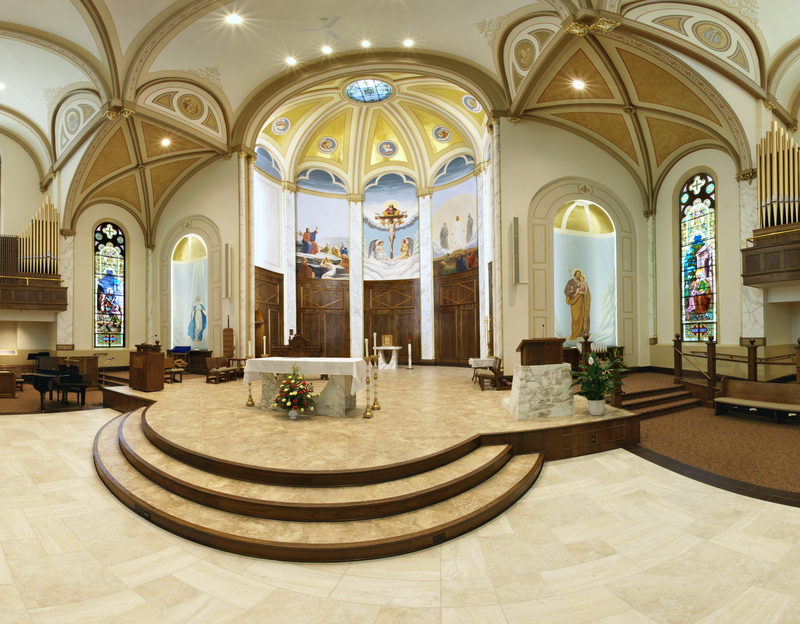 St. Joseph Church completed fundraising and did much needed renovations to their church. 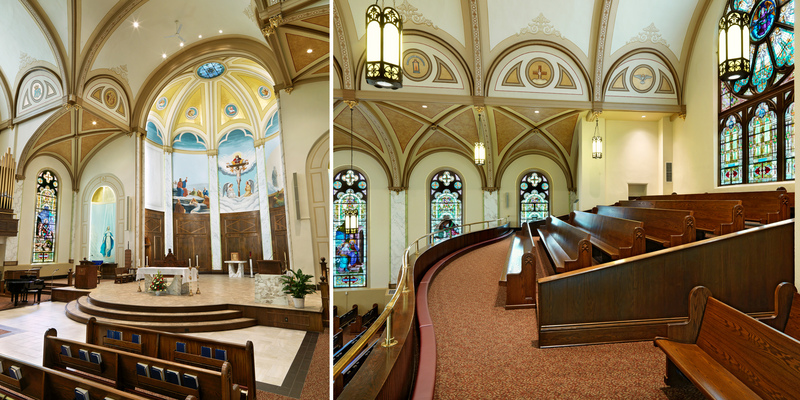 Some of the renovations included the addition of several murals, plaster repair, new paint, and a new sound system. The seating was reorganized and pews were refinished. 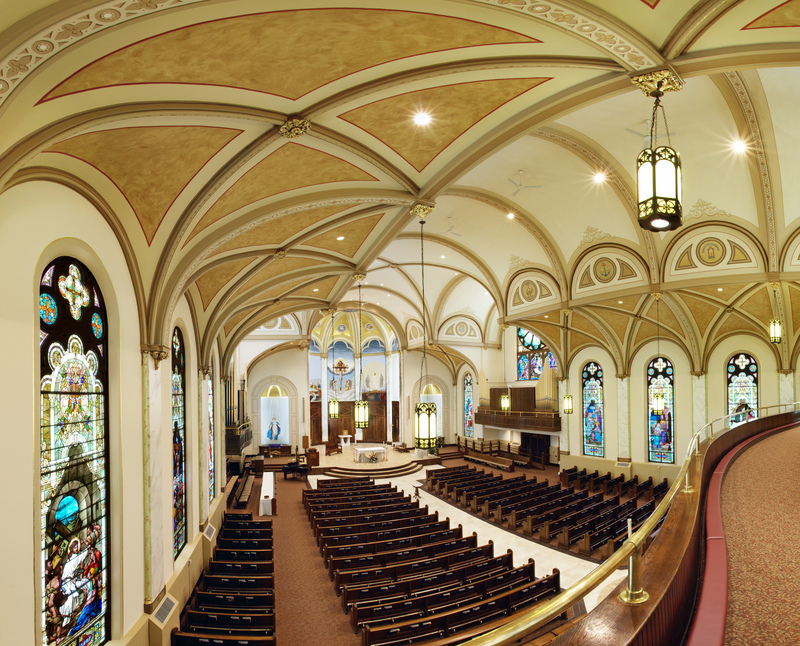 The organ pipes were moved to allow for a gathering place at the entrance. The great and the swell of the organ have been split up to provide a stereo effect.